There’s no need to struggle with poor indoor air quality or a fussy heating or cooling system when the HVAC and indoor air quality experts from Atlantic Refrigeration & Air Conditioning, Inc. are just a phone call away. It doesn’t matter if you are having challenges in your home, in your commercial space or both – our HVAC contractors are here to help. With years of field experience and the right training, our pros can handle all of your Georgetown HVAC and IAQ needs, including installation, AC repair, maintenance and replacement. When it’s time to get help with your heating, cooling and indoor air quality in Georgetown, DE, call the people you can count on: Atlantic Refrigeration & Air Conditioning, Inc.! Staying cool can be a challenge in our area during the summer months, and you’ll be especially challenged if your air conditioning system was installed or serviced poorly. This will never be an issue when you call the experts from Atlantic Refrigeration & Air Conditioning, Inc. for air conditioning services in Georgetown. Whether you need installation, maintenance, repair or replacement, our pros will do the job to your complete satisfaction – we guarantee it! We can help you stay cool all summer long. All you have to do is give us a call! Of course you do, and you deserve it! Allowing someone inexpert to work on your system can actually make things worse, so it’s important to call AC repair pros you can count on. We are those pros, and we are available around the clock to help with all of your air conditioning repair needs in Georgetown! A geothermal system can be a great choice for your home or business, but this system requires that only experts familiar with them actually work on them. We are those experts and we have years of experience with geothermal systems, including installation, repair, maintenance and replacement. There is no question that you need a reliable heater in Georgetown. Making sure you install the right heating system and keeping it in optimal shape with expert repair and annual maintenance services is something that we are here to help you with. We work with a wide range of heating system types and are available around the clock so you don’t ever need to be without the heat you need. Has your furnace reached the finish line? Our experts work with both gas and electric furnaces. We can help you find the right replacement furnace and make sure it stays reliable for the long–term with expert furnace repair and annual maintenance services. Your heating system is too important to leave in the hands of someone inept. If your boiler system isn’t working as needed, it’s time to give us a call. We’ll get your boiler back on track with expert repair services. We can also help you with new installation, replacement and annual maintenance. 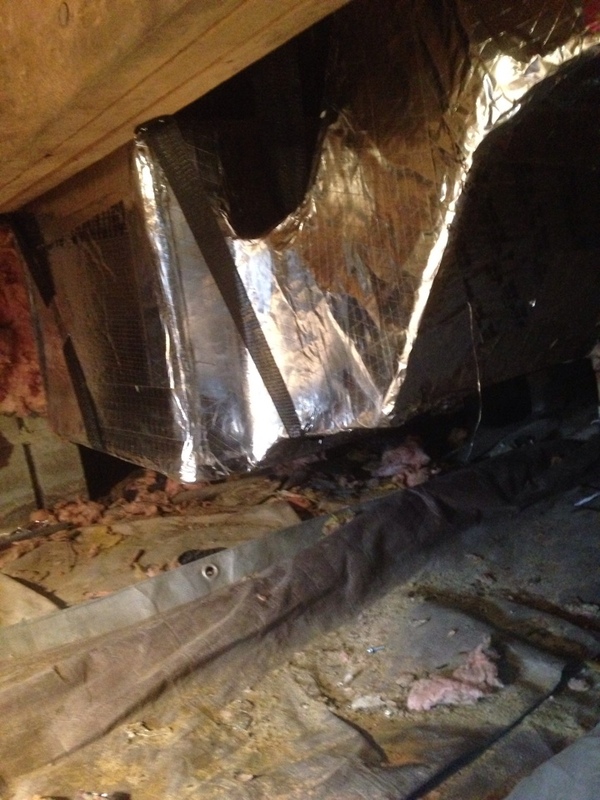 For fast, professional and Trane certified boiler repair in Georgetown, DE, contact us today. A water heater service needs to be there for every step of your water heater’s life. That starts with a quality installation session, which can include tankless water heaters instead of tank models in the right home. It proceeds with swift repairs when needed – and with water heaters, repairs are often dire – as well as regular maintenance sessions to prevent breakdowns. Finally, at the end of the system’s life, it means replacing the old water heater with a new one! There are a few important factors that make indoor spaces comfortable: the right temperature, the right moisture balance, good ventilation and clean, fresh air. When any of these factors is out of balance, you’ll feel it, even if you don’t know which one may be causing the problem. This is where our indoor air quality pros come in. We can determine the reason your indoor air isn’t at the level it should be and find the right IAQ component to remedy the situation. If you already use IAQ products, we can help with your repair and maintenance needs. Many homes suffer from too–dry air during the winter months, creating problems with personal health and personal belongings. Get the moisture you and your home need with a whole home humidifier. Our experts can install one so that it works seamlessly with your existing heating system. We can also repair and maintain your existing one. Extra moisture means extra heat, which is not something you or your HVAC system want during the hot summer months. A whole house dehumidifier removes excess moisture from your indoor air in concert with your air conditioning, making for dry, cool, comfortable indoor conditions. Do you or your family members sneeze uncontrollably each time your HVAC system cycles on? An air purifier may be just what you need to help alleviate these symptoms. Our experts can install, repair, maintain or replace your air purifier – just give us a call! When it comes to the heating, cooling and indoor air quality of your commercial property, you can’t leave these things in the hands of someone who is "handy" – handy just doesn’t cut it. You need experts who can determine what you need quickly and correctly. This includes installation, repair, maintenance and replacement. Our experts are trained and certified to work on commercial systems, and we back up all of our work with a 100% guarantee of satisfaction. See what our pros can do for your business – call us today! Keeping your commercial space cool during the summer months is a priority, and our experts can take any worry about your commercial AC off your shoulders. How? With expert services that include installation, repair, maintenance and replacement. Duane was a courteous and professional. Investigated the issue throughly, very knowledgable and issue was solved. Stayed and estimated 15mins more to insure no issues arised. Tech was a newer tech (approx 1 yr experience) but seemed pretty knowledgeable. Overall, I think the service took as long as it should have, and the price of the bi-annual service contract is on par with other companies. Tech showed up on-time and was personable. Michael was very polite and efficient. Thanks for getting us back to cool air. Josh was fantastic! GREAT job, cleaned up everything, and even going the extra mile to show my husband all the new features! Very professional! Paul crawled under our house to check our equipment and even fixed the dryer vent! Thanks so much Paul!